We have been exploring the Top End of the Northern Territory over the last few days, using Darwin as our base. 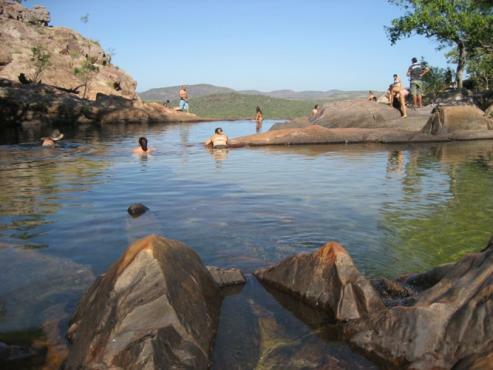 We have visited Litchfield National Park and Kakadu National Park where we have been bushwalking and swimming. Gunlom near the southern end of Kakadu was our favourite place. The waterfall there creates several swimming holes on different levels as it cascades down, a truly peaceful and beautiful place to swim. Kakadu is a World Heritage site due to its natural beauty and cultural significance. We saw several examples of ancient Aboriginal rock art which is preserved there. We will be catching up with Angela, Chris and baby Edie this evening in Darwin before flying to Beijing via Sydney. We'll write again soon from China!